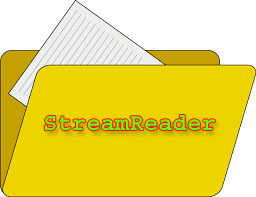 How to read file using StreamReader Class? StreamReader class allows you to read text files easily. Its implementation is easy and it is widely popular among the programmer. However, there are dozens of way to read text file in C# file handling but StreamReader Class is more popular in list. StreamReader class uses UTF-8 Encoding by defaults. StreamReader class is designed for character input in a particular encoding. Use this class for reading standard text file. By default, it is not thread safe. Read those data using StreamReader class. In this chapter you learned StreamReader class with complete programming example. In the next chapter you will learn  TextWriter Class in C#.